Irony is one of the key elements of my work whether it’s discovered on my frequent photographic road trips or conceived to promote my advertising work. 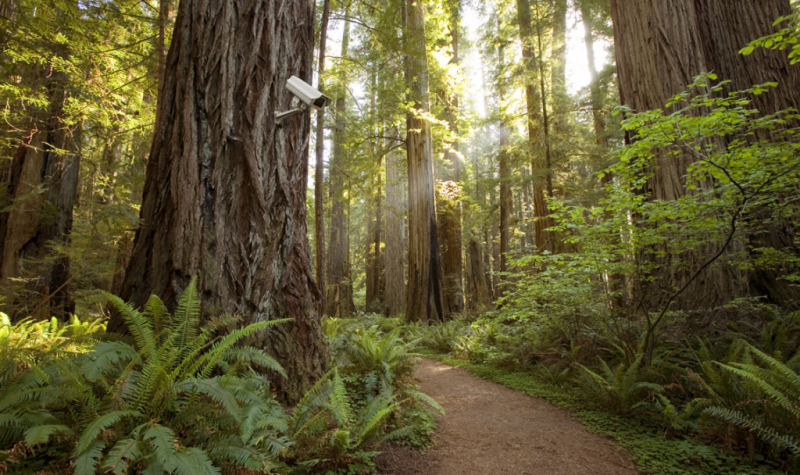 The idea of a security camera with its blinking red light in an otherwise pristine and peaceful redwood forest seemed to be a particularly poignant comment on the increasing intrusion of surveillance and subsequent loss of privacy in the post 9/11 American society. Selected by Charlotte Cotton, Curator in Residence at the International Center of Photography.